Unfortunately, we often treat our skin as a suit of armor, which is there just to make us beautiful. When a pimple appears out of nowhere on your nose you are panicking about your looks, forgetting that your skin is an organ, and that there must be some reason other than bad luck behind it. By analyzing and mapping where acne pop up on your face, you can find the root of the problem and prevent it. The technique is called Chinese face mapping. Breakouts on the Forehead Acne breakouts on the forehead suggest you have issues with small intestine and/or bladder. These problems usually occur due to poor food choices, alcohol abuse, stress, and sleep deprivation. To get rid of the annoying acne, you should start from the very root and change your diet. Focus on consuming raw food, chewing thoroughly, eating digestive enzymes, drinking sufficient water and taking probiotics . You should also avoid alcohol and get enough sleep. Right between Your Brows If you notice acne between your eyebrows, you should probably check your liver condition. It is an organ that works really hard to keep you healthy, and your habits and some other factors are making its work difficult. The liver is in charge of removing toxins from what you ingest and/or the pollution you are exposed to. Make its job easier by choosing healthy foods, get plenty of fresh air, exercise, take walks, meditate, etc. Above Your Brows Pimples above your eyebrow arch may point out to troubles with kidneys. That further indicates that you are probably dehydrated. Some of the most common causes of dehydration are fatigue, alcohol, smoking, poor sleep quality, consumption of poor quality salt and lack of water. Avoid these causes as much as you can. Stay away from sweetened beverages, and switch from table salt to sea salt. Can a Nose Pimple Truly Be a Reason for Panic? 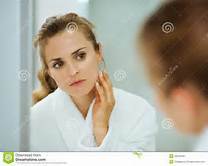 Well, there is nothing some concealer and foundation cannot hide and a quality acne treatment cannot solve, but there is something behind it all. Acne breakout on the heart of your face, truly indicate that there is a problem with your heart. Do your best to keep it healthy by exercising and maintaining healthy cholesterol levels. Some helpful herbs and veggies for that are cayenne, green tea, chlorella and garlic. 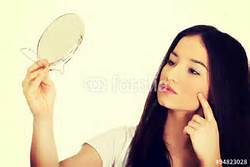 Check Your Upper Cheeks Zits on your upper cheeks are signaling you that you have to take care of your lungs better. To do that, you should quit smoking (if you are a smoker), get as much fresh air as you can, workout, drink green vegetable juices (cucumber, leafy greens, etc. )… Some of the best super herbs for lungs are Cordyceps and Astragalus. And Now Your Cheeks… You see, the truth about adult acne is that it is almost always caused by poor lifestyle. Stress, bad food choices and smoking will make your skin go crazy in the area of your cheeks. This may indicate that you have some problems with kidneys and lungs. Fight these issues with plenty of water, sea salt, cucumbers and melons. From Mouth to Stomach – Troubles in the Trouble Area Stomach is the usual trouble area when we talk about fat deposits, but it can also be damaged from the inside by eating too much fat and sweets and drinking too much caffeine and alcohol. You will know that the moment to act has come when you see pimples on your mouth and chin. Maintaining a healthy diet (plenty of fiber and fruits, especially) is the most effective solution to improve stomach health. Hormones Gone Wild If you notice zits on your chin and jaw, you are probably suffering from some sort of hormone imbalance. Try to restore it by sun gazing several minutes a day, eat less and consume more saturated fats to get more good cholesterol. Eat organic food and avoid hormone contaminated meat and dairy. Of course, if any of these issues gets serious, you should see a doctor. You can easily determine if your internal organs are in poor condition – It’s written all over your face. Nicole is an avid traveler passionate about yoga and healthy living. She always seeks new adventures and enjoys sharing her experiences with others. You can find her on Twitter.